IWASSA Co.: Commends the city of Dubai the first city in the world is fully air-conditioned "Mall World"
Commends the city of Dubai the first city in the world is fully air-conditioned "Mall World"
Dubai recently announced the launch of the "Mall World" which will reflect the city's first air-conditioned fully on the face of the earth, including streets, buildings and squares, and others. The project includes the largest shopping mall in the world, and the largest theme park in the world covered by the inner dome and one can be opened during the winter. This as well as the largest retail space in the world. It is scheduled that the project embodies the "Mall World" largest mall in the world extends over an area of ​​14.6 million square meters, and will be equipped to receive 180 million visitors a year, according to a statement issued by the group "Dubai Holding", Saturday. 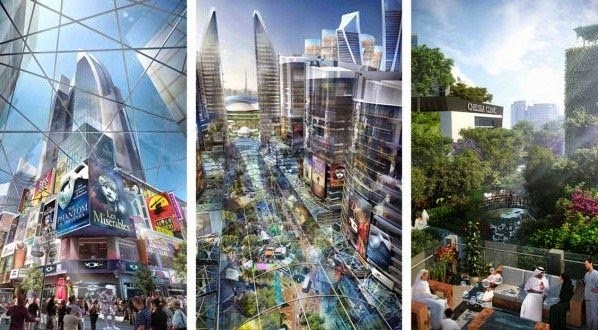 The center will comprise commercial shopping area stretches nearly two million and a half million square meters, where the project includes shopping areas along the lines of "Oxford" and "Ruday Drive, in addition to the largest theme park in the world covered by the inner dome and one can be opened during the winter. It also will contain the "Mall World," the largest retail space in the world and will be linked with more than 100 hotel facility includes 20 thousand hotel rooms. It also relates to all buildings within the project modern road network environment friendly lined with shops and a variety of restaurants.